For this year’s Roast, Comedy Central has teamed up with Nando’s in a partnership designed to add even more flavour to the most talked-about comedy event of the year. This year’s Comedy Central Roast will be held in September 2013 and broadcast on Comedy Central on National Braai Day, Tuesday 24 September, at 21:00 CAT. And as for this year’s Roastee? Who will it be? Comedy Central’s not saying – at least not for now – although a Twitter poll taken by Comedy Central prior to the 2012 Roast stirred up lots of suggestions in terms of who might be the best candidate … Julius Malema, Gareth Cliff, Herschelle Gibbs, Nonhle Thema, Riaan Cruywagen, Danny K, President Zuma, Oscar Pistorius, Helen Zille and hapless “Roaster” Kuli Roberts were all put in the frame by South African comedy fans at one time or another. 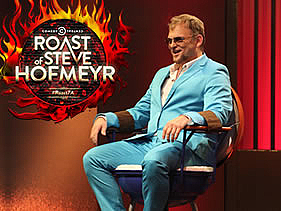 The 2012 Comedy Central Roast of Steve Hofmeyr was a landmark TV and entertainment event which saw controversial singer, actor, poet and polemicist Steve Hofmeyr well and truly spitted by Trevor, Casper de Vries, John Vlismas, Anele Mdoda, Shaleen Surtie-Richards, Robert Whitehouse, David Kau, Kuli Roberts and Minki van der Westhuizen. Comic provocation, good-natured ribbing, outrageous anecdotes (true and false) and some genuinely barbed remarks made the Roast great watching on both TV and video – achieving Comedy Central’s highest TV rating ever, and selling thousands of units on DVD. 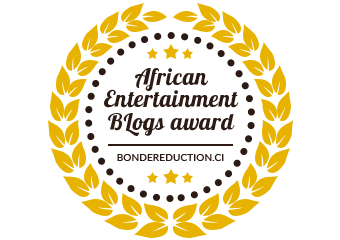 Highlights of the show, taped in September 2012 at the Lyric Theatre, Johannesburg, included Hofmeyr arriving on set in a blinged-out, pimped-up “ossewa” or ox wagon to the unapologetically triumphal strains of Baas van die Plaas. A gleefully wicked stint as Roastmaster by comedian Trevor Noah, a supremely catty dissection of the singer by Casper de Vries, and sharp exchanges between John Vlismas and Hofmeyr – which ended in Hofmeyr literally cramming Vlismas’ script down his throat – rounded out the event.